Cherries, stone fruit, are always a sign that summer has arrived. Because cherries are both tart and sweet, they can be used in a variety of recipes and in many different ways. They are a powerful little fruit, high in antioxidants and are great to consume to reduce inflammation. Besides the most common red cherries, there are also rainier cherries, or “yellow cherries,” which tend to be less tart and more sweet. Cherries are a great addition to any summer picnic. When to Buy: The peak season for cherries is the summertime, so hurry and stock up on some juicy cherries! I always buy extras in the summer and freeze them to use in pies and ice cream for later in the year. What to Buy: Often cherries come in bags, so try to pick one where the majority of cherries are free of bruises. Sometimes you can pick them yourself to put in bags, so choose which flavor you prefer: if you want more sweet, the darker cherries, but if you like it a bit tart (oh you tart, you), choose lighter colored cherries. Prep & Storage: Give your cherries a good rinse and store in the fridge. If I know I’m going to be making a pie, I like to use a cherry pitter and then store them in a tupperware container in the fridge. How to Cook: Cherries are absolutely delicious raw and make great additions to any salad, breakfast oatmeal, or yogurt topping. To make a cherry topping for an ice cream sundae, cook the cherries down with some sugar and a bit of squeezed lemon for about 10 minutes. Or, you can even dry your fruit to add to granola or trail mixes. Recipe Box: Check out our favorite cherry recipes! For a sweet and tangy addition to a trifle or between layers of cake. Oh. My. God. Yum. Cherries added to cornbread is the perfect sweet addition to a summer classic. Craving a filling dish? Add dried cherries to some pilaf to make a textured rice dish. The American classic. 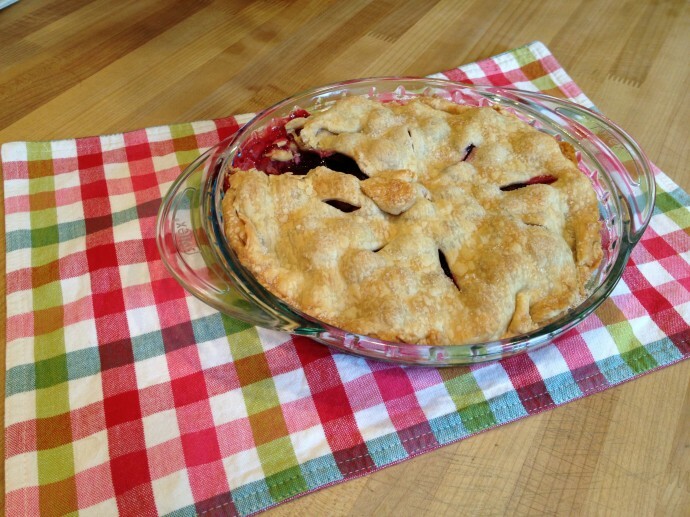 This is my go to recipe for cherry pie and has a secret ingredient that makes the pie extra special! Kelsey Krasnigor is in a conundrum. To eat cherry pie or to consume cherry scones? Rough life. with powerful (10x optical move, 25-250 mm range) wide-angel mega-zoom (26 mm) help in choosing stunning golf swings quite possibly with low-light circumstances.